In addition to worshipping the sun Incans worshipped gold! Watch for the temples to appear and pray for your share of the gold. Collect two scattered Temples and win a special payout. Collect three or more scattered Temples and win 12 Free Games. 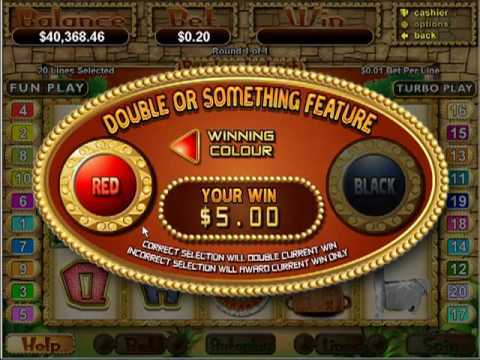 Receive 5 of any symbol wins a free gamble feature where the player’s prize is doubled or remains the same.